The Richmond Maritime Festival is delighted to announce that Richmond resident, David Akselrod, has been selected to create the poster image for the 12th annual festival happening at Britannia Shipyards National Historic Site on August 8 & 9, 2015. David is an artist, animator and musician who graduated from Emily Carr Institute of Art, Design and Media in 2007, earning a Bachelor of Media Arts. After graduating, he had his animated short film Malaise screened at various film festivals in the U.S. and South Africa. He also enjoys performing as a guitarist and working on book and CD cover illustration. 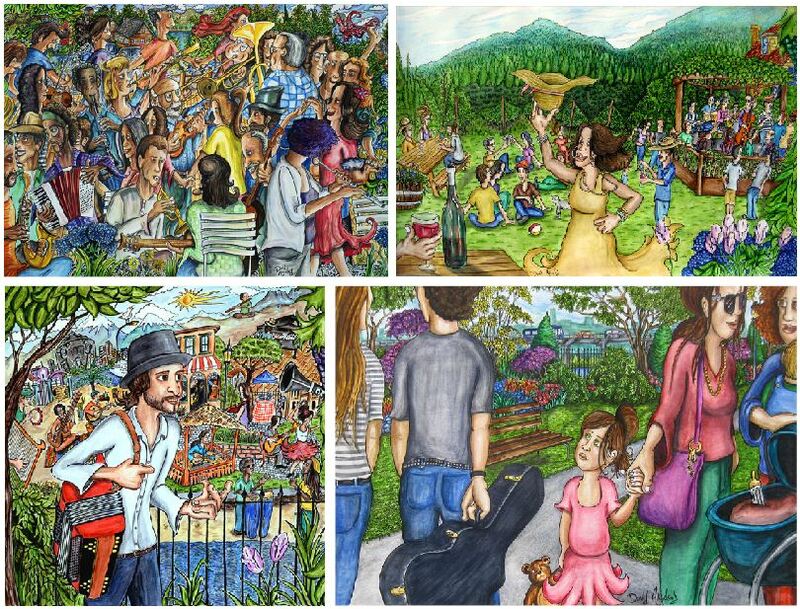 His art draws upon themes of childhood memories, dreams and his musical experiences and his collection of ink and watercolour artworks are illustrative, whimsical and vibrantly colourful. The work reflects upon a world that is full of excitement, danger and youthful spirit. He finds inspiration from his daily life performing as a musician and a busker or painting at his studio space in Vancouver. He is also very familiar with the Richmond Maritime Festival and the Britannia Shipyards site, having attended the festival over the years and performed on the mainstage as a musician. David was selected from among 25 artists who submitted samples of their work for consideration. The final poster illustration will be published in June.